When will the Storms Start Again? Every weather outlet, including the NWS, is talking about warm, dry weather into the foreseeable future. In fact, last week at this time we talked about the very same thing. However, as we all know, the weather will change. We see that change coming late in the first week of February and a larger storm around the 11th - 13th of February. 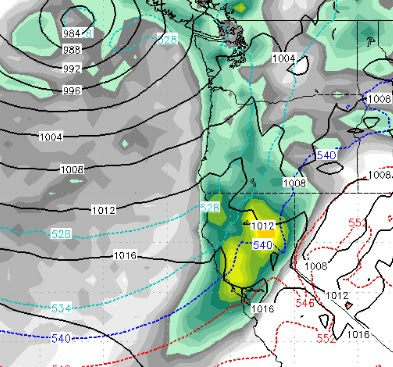 The possibility does exist of a more significant storm coming our way around the 22nd of February. Although high pressure will continue to build in behind these storms, we see a pretty average February in store as several storms will knock that high pressure out to sea and bring snow to the Sierra. We have one real storm and another storm that will break up around the time it hits land. After that, a coastal ridge of high pressure will move over us for at least a week and probably more. There will be a disturbance that will move in tonight. 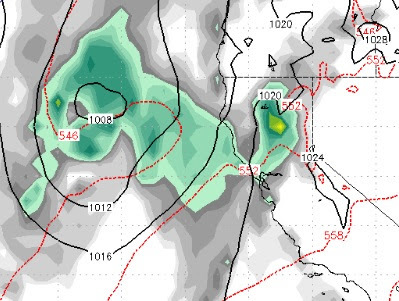 As this disturbance moves inland and hits the Sierra, it will break up and probably will amount to 1-3 inches of snow, during the day tomorrow, at best in the Carson Range. This thing will be mostly gone by noon on Thursday. 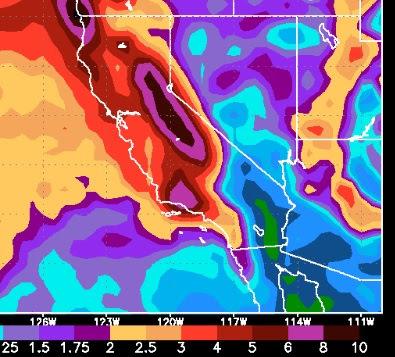 It does have some moisture to work with and I look for 8-16 inches of snow for the Carson Range and a bit more for the Sierra Crest. As has been the case this month, the models are greatly over predicting our storms and backing off as the storm nears. This first storm tonight is moving much faster than previously thought and will be all done by noon tomorrow. 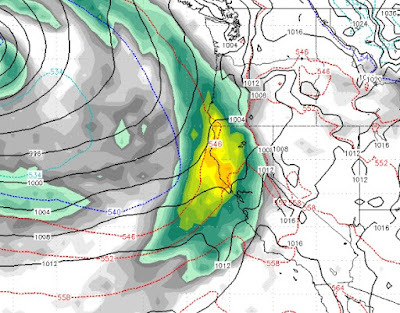 The storm for Sunday night is now looking like a minor weather event. These storms are also coming in slightly warmer than expected. 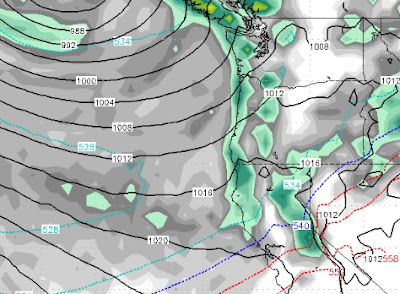 The next storm in sight is for next Tuesday night and into Wednesday. Again a fairly quick moving storm. Somewhere between 2-3 inches between now and next Wednesday for the Carson Range. We will take what we can get, but our hopes were much higher for this week. Our friend Paul Huntington hinted to me that we may see a dry second half of January and at least early February. Paul has been very busy but we are hoping to get a post from him for the remainder of the winter soon. 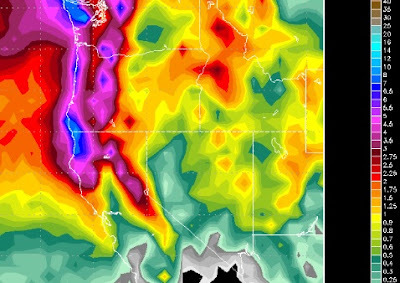 Three storms each stronger than the previous storm are poised to hit Tahoe. We talked about 2 of these storms in last week's post. Not much has changed, we expect the first storm to be the warmest and weakest of the bunch. Unlike last storm, which saw snow elevations at around 10,000 feet, these storms will be much colder. The change we talked about for the last 3 weeks is starting to take hold. The first major storm is knocking on the door. We will keep our forecasts the same. However, this storm is really pulling up very warm, sub-tropical air and snow levels will start out around or even above 8,000 feet. By the time it is all said and done, however, we still believe the Carson Range and Mt. Rose in particular will pick up 18-36 of very wet snow. Warm air will then come in and take over before two very large storms will produce more major weather events, starting around the 15th. We will focus on the long range forecast. This current storm is being covered by the NWS and other outlets, we like to focus on what is coming down the road. Remember, we forecast 10+ inches of liquid for the month of January. Right now that forecast looks pretty good. As mentioned in our last post, our first decent storm of the 2018 begins late Monday, should bring decent precip for most of Tuesday and clear out on Wednesday. High pressure builds in behind the storm, but we feel as though that will be short lived and our next series of storms should come about mid month. At the risk of sounding like a broken record, our forecast has pretty much remained the same for the last five days. We have been locked under this coastal ridge of high pressure for weeks now, but as with all things related to weather that is about to change. The change begins slowly on Wednesday night with a weak system coming from the south. Although this system has plenty of moisture to work with, it is too weak to expect anything of significance. 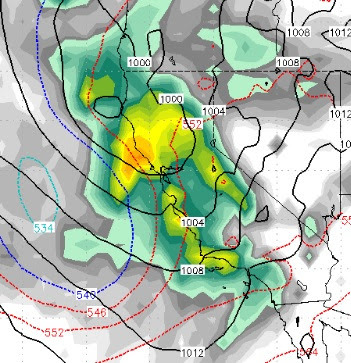 Again, this is another weaker system, but does have some potential for precip. Both these system are going to be very warm with snow levels starting around 8,000 feet or possibly slightly lower. Mt. Rose will probably be the big winner again.